The 1900 Building Courtyard is iconic. Framed with gorgeous ‘tulip’ columns, the Courtyard has a two level patio with a beautiful fountain and lush landscaping. A special 30’X 40’ tent is available for use in all seasons. The tulip lighting can be both dimmed and is color changeable. 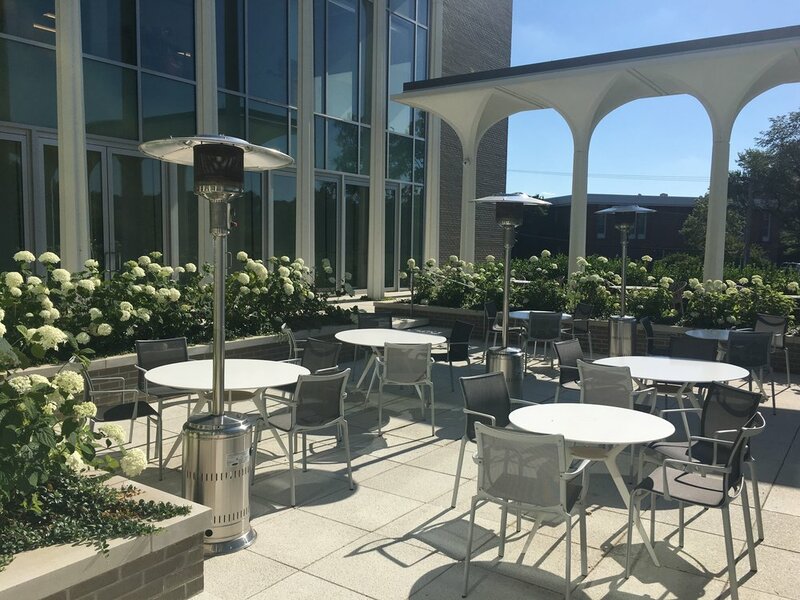 The Courtyard can be used in conjunction with the Parkway Room, Rose Hall and the Fountain Room. A sound system is in place that integrates with the other venues in the building. Patio furniture is in place.